The meyer lemon tree in my backyard had gotten out of control. With so many lemons, something had to be done. The solution, a big batch of Meyer Lemon Bars. 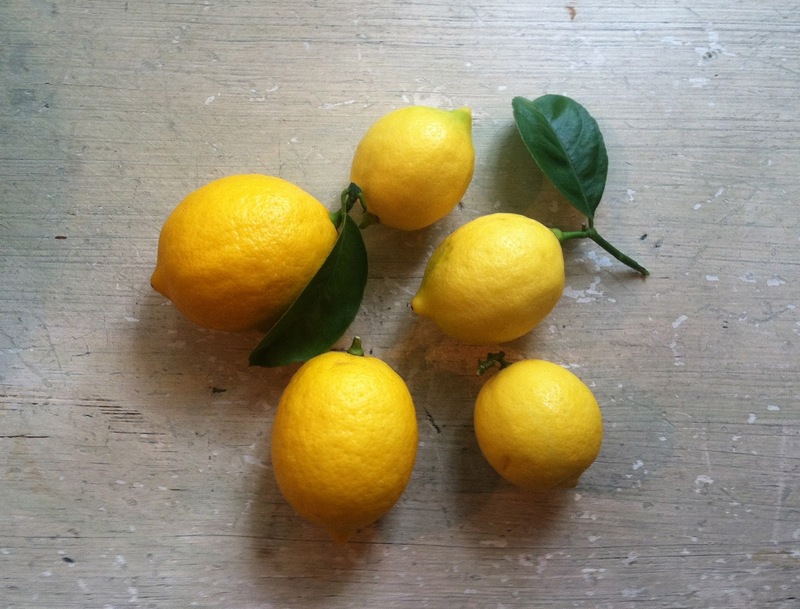 I adapted a recipe to make them very lemony (yes, it's a new word...lemony). Like pucker up and enjoy lemony. They were soooo delicious! You have to try them. An absolute hit. 1. Position a rack to the middle of the oven. 2. Lightly grease a 9x13 inch pan with vegetable oil and line with foil, leaving a 2 inch overhang on all sides. Lightly grease foil. 3. Hand blend the butter, flour, both sugars and salt by squeezing it together with your fingertips until all of the butter cubes are squished and the mixture. Mix on KitchenAid for 30 seconds with whisk attachment until the mixture is a sandy texture. Mix again by hand, lightly kneading in the bowl for 10 seconds until dough comes together. 4. Press evenly into the bottom of the foil lined pan, about 1/2 inch deep, until there are no cracks. 5. Bake until crust is golden, about 25 minutes. 1. Whisk the whole eggs, yolks, sugar and flour lightly in a bowel until blended and smooth. 2. Lightly whisk in lemon zest and juice. Do not over whisk or it will become frothy. 3. Remove the crust from the oven and reduce temperature to 300ºF. 4. Pour the filling over the warm crust and bake until the filling is just set, approximately 30-35 minutes. Let the bars cool in the pan until room temperature. It is also a good idea to then refrigerate (after cooling) to allow them to firm, one to two hours. Lift out of the pan using foil. Slice and dust with powdered sugar. Enjoy!